CMK usually offers metallic Gallium in high quality, which is required in semiconductor industry. The flexibility of our refining technology allows also the modification of the product purity according to the customer’s requirement, therefore the Gallium in 5N, 6N, 6N+ or 7N purity can be produced. 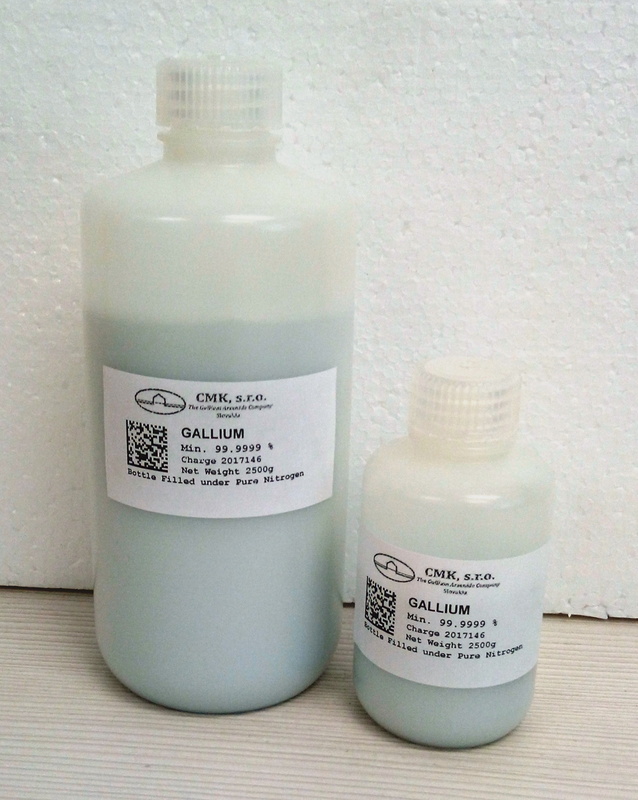 CMK offers the service of refining, where the supplied low purity Gallium from the customer is refined to high purity Gallium. Related to Gallium also a service of recycling is used, where the Gallium is recaptured from the waste containing this metal. After gaining Gallium in required quality, it is packed in a box under pure nitrogen atmosphere and shipped in HDPE bottles of various size and weight.